Normal action cameras are… well, normal. But if you’re looking for something a little different, there are models that record video in 360 degrees at once using multiple lenses. Here are the best among them. There are a couple of ways you can use this 360-degree video trick: edit your video later and choose where to point a conventional video frame, upload the whole thing to a special video gallery (or just YouTube) and let the user control where the view is pointed, or watch them with a VR headset and look around freely. All the cameras below support these modes to a greater or lesser degree, but some include the editing tools you’ll need to do it yourself. 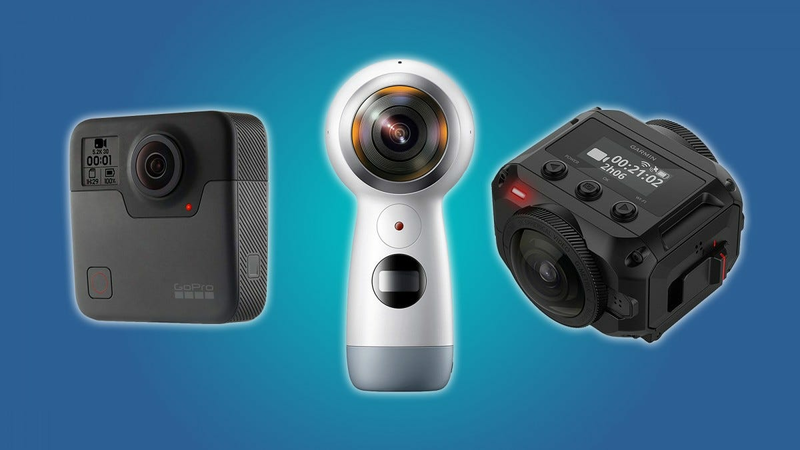 We’ve made selections for the best standard, budget, and upgraded models, as well as a dark horse pick for users that are already invested in the action camera segment. All of the cameras below use MicroSD cards for storage. 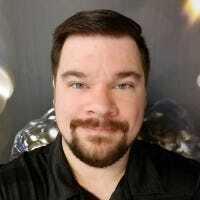 You can find the best cards to use in this article. 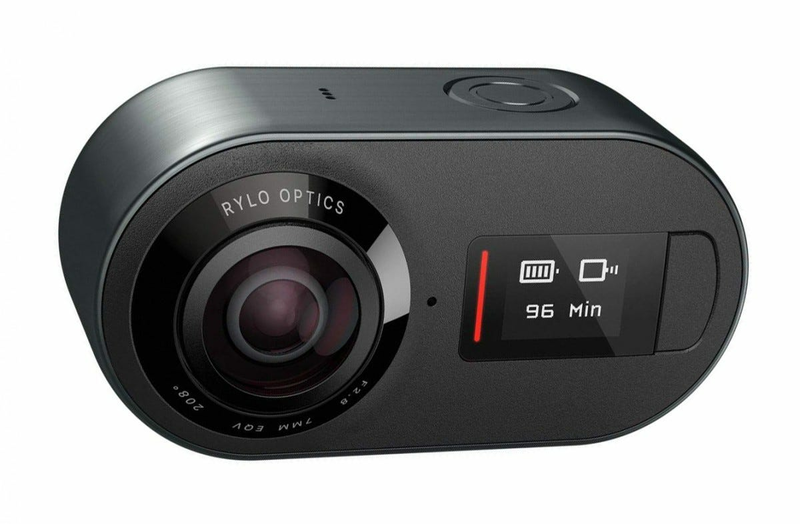 The Rylo 360 looks pretty unassuming: a little rounded pill of a camera, with a screen that only barely shows the battery level and recording mode. But that’s because it’s packed to the gills with tech. Two 208-degree lenses, one on either side, sport a f/2.8 aperture for drinking in light and details. Together they combine for a 360-degree image with a resolution of 5.8K in the standard 24fps recording mode, or a little smoother in 4K. 180-degree stills or full circular panoramas can be captured in “6K” detail. But it’s the ease of use that makes the Rylo particularly notable. Connect it directly to your phone with the included cable—Android and iPhone variations cost the same—and it will automatically load the video files into the editor app. From there you can frame clips in a standard 16:9 aspect ratio, post the full 360-degree video to an online gallery or have the footage dynamically cropped for software stabilization, all without touching a desktop PC. Accessories, like mounts for bikes and helmets and a waterproof case, can extend its functionality. GPS specialist Garmin probably isn’t the first name that pops into your head when you think of action cameras, but the company’s VIRB 360 is worth a second look. Though it’s roughly twice as expensive as the mobile-focused Rylo, it’s much more capable, with a similar resolution that can do full 5.7K, 360-degree recording at 30 frames per second. If you bump it down to 3K it will give you super-smooth 60fps video, as well. The double lenses and quadruple microphones are surprisingly capable, with a 15-megapixel stitched resolution and automatic HDR support. The little camera doesn’t need a case, since it’s waterproof and the toughened glass lenses can be replaced by the end user. It’s mountable to a standard tripod to boot. But the hardware is only half the story. The VIRB has some serious software smarts, automatically stabilizing videos and wirelessly transferring them to either a phone app or desktop editor. The microphones can pick up some basic voice commands, too—very handy for when you’re mountain biking and don’t want to stop to begin recording. Just shout “Okay Garmin, start recording” and it will begin the video, or you can say “remember that” to tag a specific spot for easier editing. It can even livestream directly to the web—at full resolution, no less—when connected to your phone. These extra creature comforts make all the difference if you’re looking for a premium 360-degree camera. 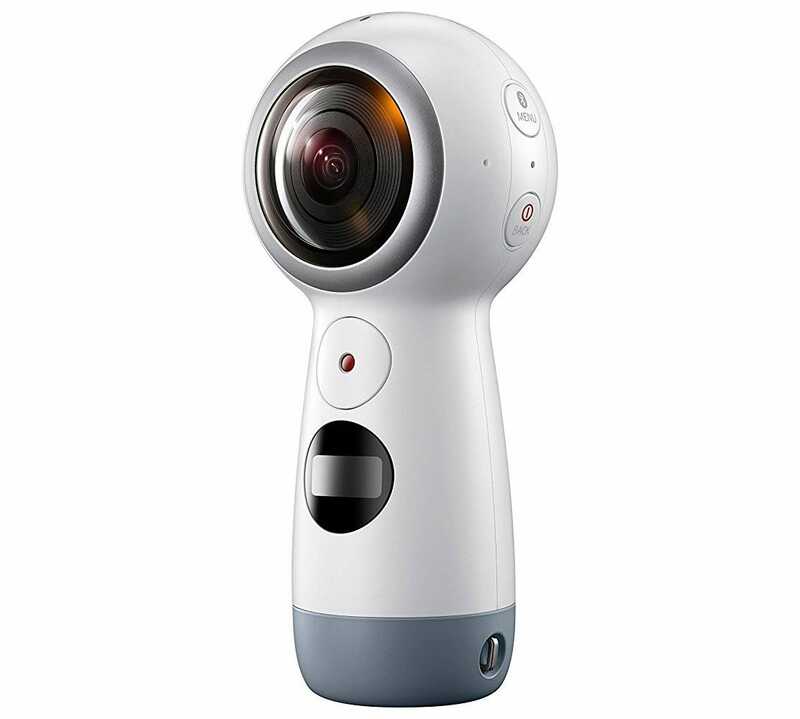 For those who can’t justify an expensive camera for only the occasional 360-degree recording, the improved 2017 version of the Samsung Gear 360 is a great budget alternative. For around ninety bucks you get a dual-lens, dual-sensor design that can handle basic 4K video and is even rated for some light water resistance. The bigger body with a bigger battery lasts longer than most action cameras, and its finger-friendly controls make recording directly to the MicroSD card easy. The wireless is only compatible with an app on Samsung phones, but transferring videos or still photos to a PC is pretty easy, too. Not being able to use it with iOS or non-Samsung Android devices is a bit of a bummer, but there’s no better option for under $100. 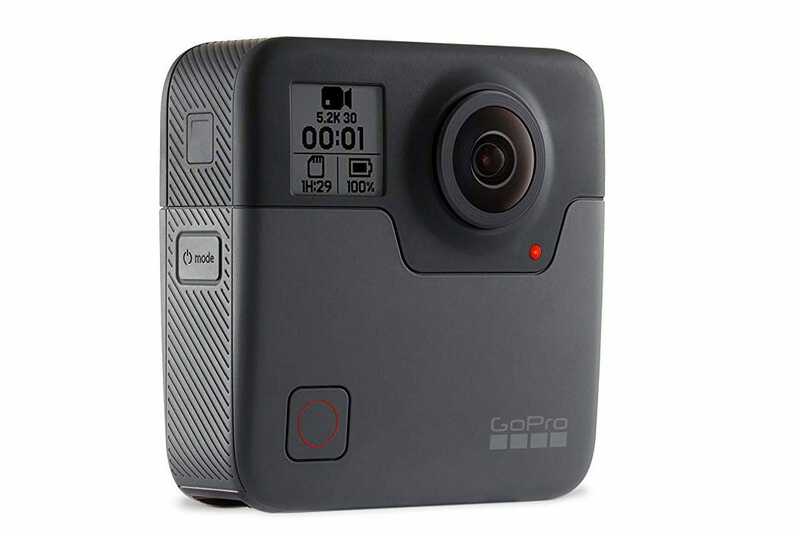 The GoPro Fusion has similar specifications to the Rylo 360 while costing $150 more, so it’s not a great value proposition. But if you’re already familiar with GoPro cameras and you’re invested in the company’s accessories and software ecosystem, it might be worth considering anyway. 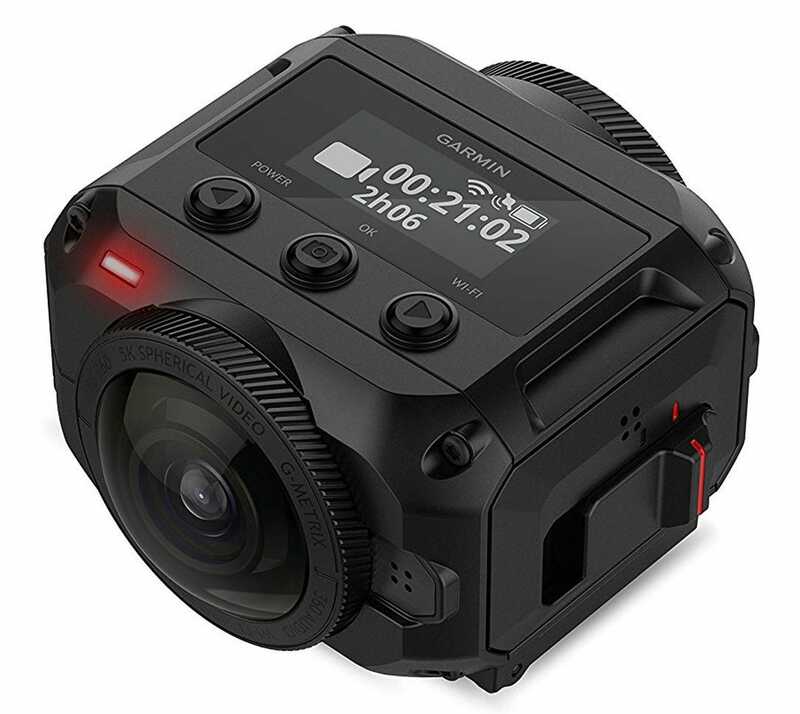 The dual lens design can handle 360-degree video at up to 5.2K (3K if you want 60 frames per second), and it includes light waterproofing and GoPro’s impressive digital video stabilization. The unique “Overcapture” feature can convert a full 360-degree video into a forced perspective widescreen one perfect for sharing, no extra editing required. Like other GoPro cameras, it’s easy to transfer video and still photos to either your phone or PC for editing or sharing to social media. The package includes a removable battery for extended sessions away from a charger and a grip for easily holding the camera steady. Cutting the cord still leaves you with a ton of entertainment options, but they don’t all have to cost money. In fact, there are a number of free ways to watch TV and movies online.